Foxy is not happy with Biggie at all. I thought he was a cool kid. Now he brings home this stinky, noisy, slimy dog. But never would I have imagined such a disgusting dog! Really, I’ll never ever date a French Bulldog. He sounds like a “carro publico”!!! How am I supposed to sleep with a noisy diesel engine struggling to stay on right next to me! He crossed a line here. I’m only staying cause I know he wants me here. 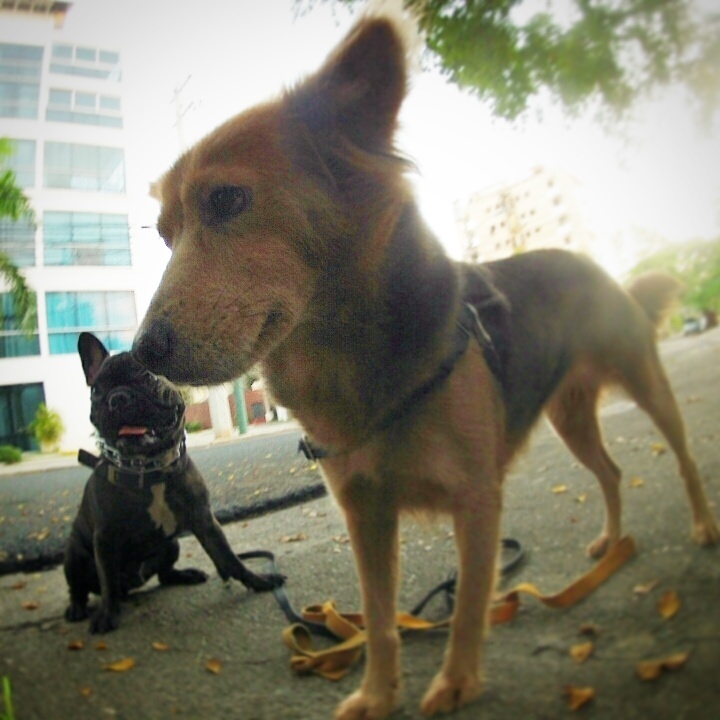 Guest Doggers, Know Our Local Dogs - Viralatas biggie, foxy, noisy, viralatas. permalink. Poor Foxy. I understand completely. You are all happy then the human has to mess it all up by inviting a stranger into the pack. Oh what we must endure for our too nice humans sometimes.